THIS IS THE ONE THAT EVERYONE DREAMS ABOUT!!!! OVER 2000 SQUARE FEET OF LUXURY CONDO LIVING INSIDE A GATED COMMUNITY ON THE WATER. 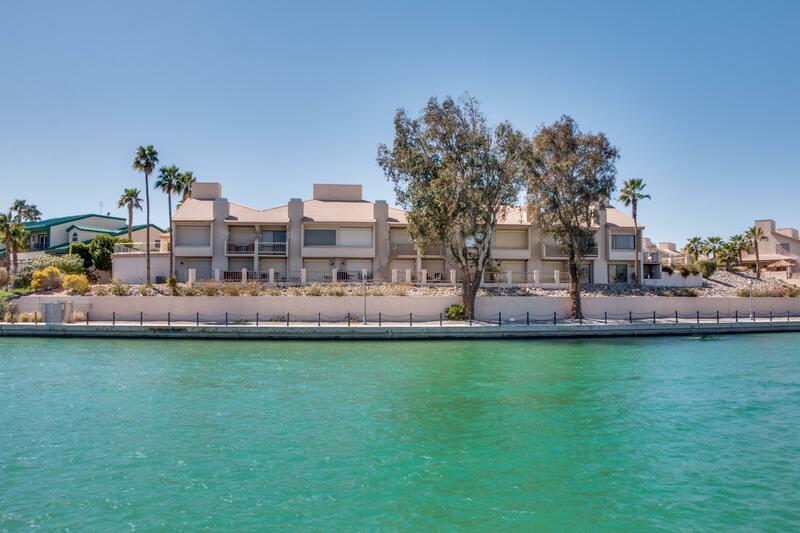 BREATH TAKING VIEWS OF THE LONDON BRIDGE AND STEPS AWAY FROM THE WATER ON THE WORLD FAMOUS CHANNEL IN LAKE HAVASU CITY. THE ISLES CONDOS ALSO HAVE A PRIVATE BEACH ONLY FOR HOME OWNERS!!!!! PARK YOUR BOAT IN FRONT OF YOUR OWN COMPLEX, WALK TO YOUR UNIT. THIS CONDO HAS GRANITE COUNTERS, UPDATED BATHROOMS AND VAULTED CEILINGS. ASSOCIATION AMENITIES INCLUDE POOL, TENNIS AND FITNESS CENTER. THIS LOCATION IN THE COMPLEX AND THIS LOCATION IN TOWN IS TRULY A REMARKABLE OPPORTUNITY FOR THE PERSON WHO WANTS TO BE IN THE EPICENTER OF TOWN. HOA Management Company: MOHAVE REALTY INC.